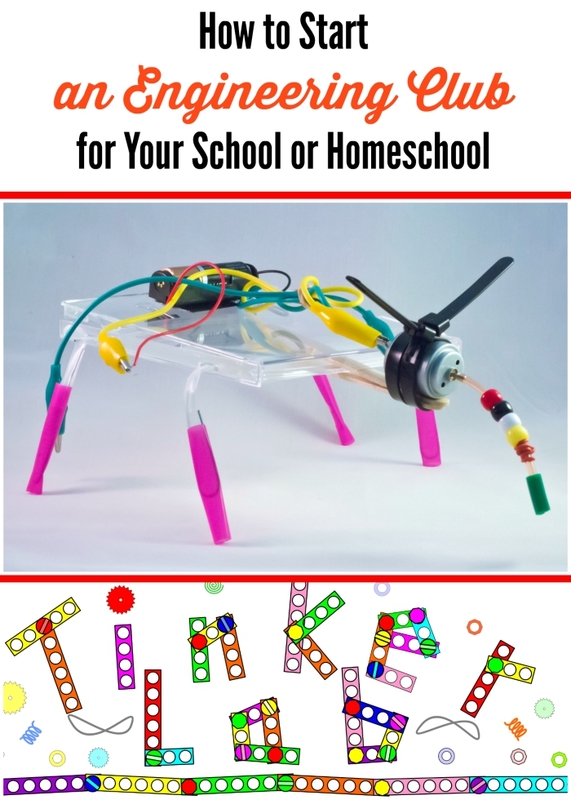 Home » engineering » stem-activities » How to Start an Engineering Club for Your School or Homeschool? How to Start an Engineering Club for Your School or Homeschool? Would you like your kids to get a chance to do more hands-on projects with their friends and bounce ideas off each other? Start an engineering club in your school or a co-op class for your homeschool. This post will deal will answer logistic questions on starting such a club. Who Is Going to Run the Program? I applaud the teachers who volunteer their valuable personal time for after school enrichment classes. If you are a teacher thinking of starting an engineering club, I hope you will find information in this article useful as well. In our case, however, an engineering club was a brain child of our home and school club (known in other parts as parent-teacher association). Last year, our home and school club allocated $1000 out of its budget towards establishing a “tinker lab” at school. Unfortunately, a couple of parents who were supposed to be running this club unexpectedly moved away this summer, so my husband bravely picked up the baton of starting up this club. One major thought behind our engineering club at school was to give underprivileged students access to hands-on engineering projects that they might not have obtained otherwise, because usual STEM enrichment classes in our area are quite expensive. At the same time, we did not think that we have enough time and resources to cover an entire school, so this year engineering club will be offered to 4th grade students only, since original founders all had 4th graders. Even just with the fourth grade, we are talking about almost 90 students in our school who will rotate through our Tinker Lab this year. Your space situation and the number of adults supervising an activity will influence many decisions about your club. Our school is small and overcrowded, so we can only dream of a dedicated Maker’s Space that some newer and richer schools might enjoy. Our club will be meeting in the music room, so part of our seed money was spent on organizing storage for all supplies when they are not in use. Alas, fourth grade teachers were not quite on board with the idea of letting students leave for Tinker Lab during the normal class time, so the current plan is to have small groups of students (10 people each) go to Tinker Lab during lunch recess twice a week, each session lasting 25 minutes. During the first session, they will build things, during the second session they will play and tinker with the things they had built. 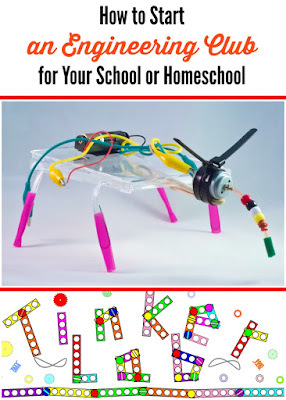 You might ask why not to do this after school, but the problem is that then Tinker Lab would become an optional activity that might not reach those underprivileged kids. I personally have some doubts that this format will work, but we will find out this week when the first session of the club takes place. Finally, we are getting into the all important question of what you will do in your club. Our founders went with the kits from Resource Area for Teaching (RAFT), because they could go to the local physical store and select the kits that they found most interesting, like this Solar Jitterbug kit. Because of the current format, each kid will visit Tinkerlab only 3 times a year, since it would take 9 weeks to rotate all 90 fourth graders through one kit, but, of course, you might have fewer students and therefore cover a lot more territory. If you are looking for less expensive options for your club, check out these paper bag STEM challenges from Starfish Education or look at the challenges of Kids Who Think blog. The younger your audience, the more help you will need, especially if they work with reusable components that you want to keep working between sessions. During back-to-school night my husband talked about Tinker Lab in all three 4th grade classrooms and recruited parent helpers. With any luck, there will be at least 2 adults supervising 10 kids during Tinker Lab sessions. Yahoo or Facebook groups and Sign Up Genius are good sites to coordinate work and schedule activities of multiple volunteers. Sure, our Smarty has a privilege of having access at home to a dozen construction kits and sets of various kinds and two parents with engineering degrees. She does not have younger siblings to watch after school or a family business to contribute to. But some of her classmates are not as lucky. Perhaps some of them might look at STEM careers as something that they can pursue in the future once they get a chance to actually build something that works and understand how it works. I am very interested to see what experiences we will all get this year from this new initiative, and, hopefully, parents from other grades might be willing to expand our tinker lab into other age group. Do your kids have a chance to attend engineering club or a Maker Space? Is it free or do you pay for membership? Oops, I got so excited to share it, that I forgot to comment. Love this post. And I think meeting during recess will work out fine, or I hope it will. I think your recess plans will definitely let you reach the underprivileged population easier...it does seem a shame that each child only gets 3 sessions though! Yay for your husband in taking the lead too!! oh awesome we've been talking about doing something like this so thank you. I'd love to hear how it is all going for you. Okay - started to comment, but lost it. If you get a double, I'm sorry. Anyway, this is great. We have a robotics club, mainly for homeschoolers, in town. It's not too expensive, just paying for parts, but we do enough of that sort of thing at home already - so my children weren't interested. We do have a homeschool girl filled neighborhood now though, so I've been thinking I might have to stock up on some little kits or projects to keep hands busy and my house safe during the winter months :) Looking forward to hearing how your husband does with this project! RAFT supplies are great and make things so easy! Affordable too! Best of luck with the club. I love that our public library offered free science/tinkering classes over the summer. It turned out to be better than one of the paid classes we've tried. Quality depends a lot on the instructor.